The classic lean approaches to business practices in general, and manufacturing in particular, are losing their ability to make further, meaningful gains as they have been in practice for so long that gains become minimal at best. The ability for organizations to integrate and transform systems into optimized confluences of activity could offer the next significant productivity leap. 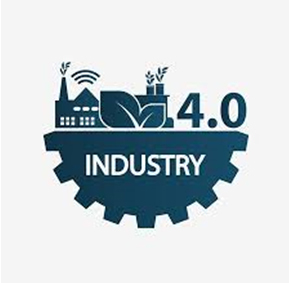 Industry 4.0 is commonly referred to as the fourth industrial revolution, following lean processes, outsourcing and automation. It offers the promise of furthering these movements by harnessing and combining multiple technologies, both old and new, to reshape the way things are made. Industry 4.0 is the overarching term used to describe the current trend of automation and data exchange in manufacturing technologies. It includes cyber-physical systems, the internet of things, cloud computing and cognitive computing. It has been touted as the next phase in the digitization of the manufacturing sector, driven by the steep rise in data volumes, computational power, and connectivity; the emergence of analytics and business-intelligence capabilities; new forms of human-machine interaction; and improvements in transferring digital instructions to the physical world. The potential for Industry 4.0 to produce manufacturing advantages shows enough promise that organizations would do well to carefully monitor the coming changes to discern if strategies should be developed and employed to take advantage of the new opportunities. The activity of cross-functional engagements will help companies find the levers that are best suited to solve their particular problems thereby realizing significant efficiency gains. One kind of lost value that is sure to interest manufacturers is process effectiveness. Industry 4.0 offers new tools for smarter energy consumption, greater information storage in products and pallets (so-called intelligent lots), and real-time yield optimization. Current manufacturing practices can certainly benefit from real time data collection and analysis that monitors evaluates and guides processes to ensure that efficiencies are being maintained throughout all stages of manufacturing. Suppliers must understand that they have a place in this manufacturing transformation and should be willing and able to meet the needs and changing requirements inherent in Industry 4.0 value propositions and creations. As manufacturing companies dive into the Industry 4.0 waters, it is imperative that the best electronics contract manufacturers are well-versed in the transformation processes and ready to support any and all associated activities.